It occurred to me that my last three posts have been about, respectively, animal slaughter and alcoholism, ethnocide, and beggars. I will now attempt to share some less depressing anecdotes. Last week I had the pleasure of meeting Manuela Ima, the President of the Huaorani Women’s Association. We met up in my hotel, which happens to have a few dopey-looking statues of Huaoranis in the garden. 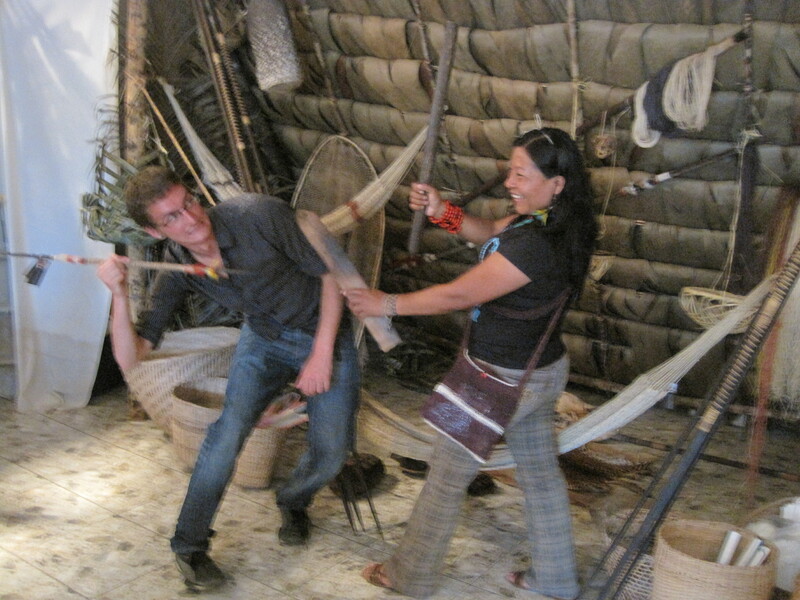 Manuela did not seem to be offended; in fact, she thought they were hilarious, and insisted that I take her picture with some of her “brothers.” We then went back to her store and had a photo shoot with some spears, so that I could show my friends how fierce the Huaorani are. As usual, the mammals stole the show at the Pompeya meat market. 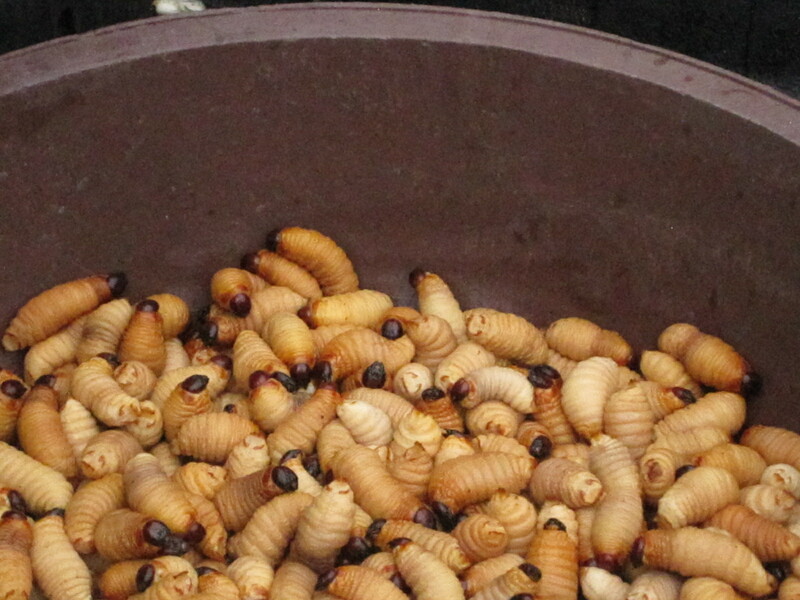 But what about these giant maggots that were on sale? They’re biodiversity too! As I found out this weekend, they wind up on skewers and sold in the Sunday Kichwa market in Coca. At least this summer, they aren’t living inside me. 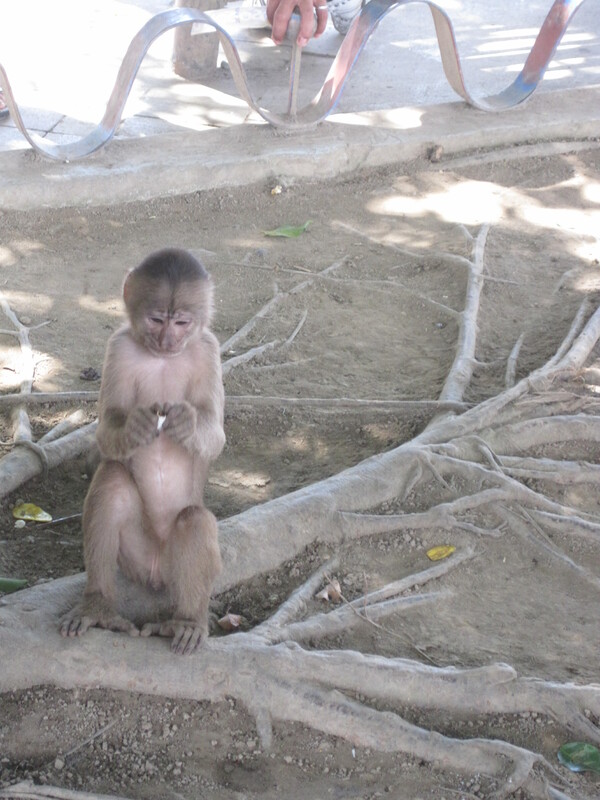 Oh, and here’s a picture of a monkey about to eat a cigarette. Band grossest member candidate 2011?